Altus, Inc. | Altus introduces new productivity focused tools and products. Altus introduces new productivity focused tools and products. Patient-Centered products to support their care-giving. Focus groups led to the introduction of Altus' sightline cart in early summer 2016 which allows clinicians to have a clear line of sight over their cart while in transport and while working with patients. This compact design has proven to help provide a stress-free environment and has become a favorite among clinicians. This platform is now available across the entire product portfolio (Powered (on-board charging and hot-swappable) and Non-Powered). 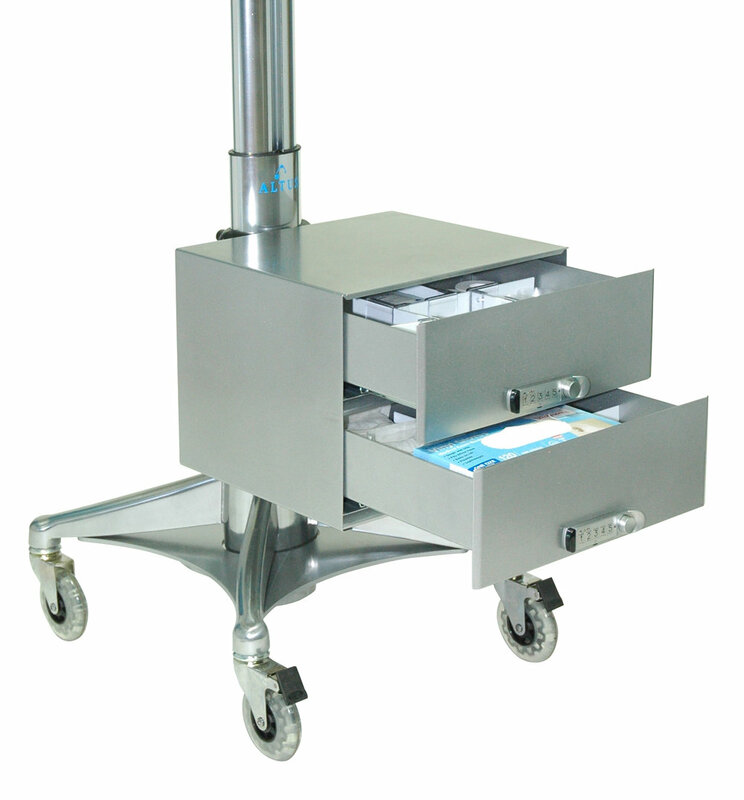 Electronic Medical Records at the point-of-care have been made possible through the use of wall mounts and mobile carts. However, there are many other supplies and tools often required while at the bedside. Altus' broadened productivity tool portfolio provides a place for everything you could need including barcode scanners, printers, sani-wipes and more. Excessive lifting can lead to user fatigue and in some cases injury. Ergonomic cart solutions should be lightweight and easy to maneuver as well as simple and intuitive to adjust. Altus offers some of the lightest carts on the market and now has the fastest electric lift mechanism within their Clio powered cart portfolio. Sitting or standing is quick and easy with the push of a button.